Deep in the woods, there is a beautiful lake with cattails and roaming deer. The leaves are falling and the owls are softly hooting. All the the beauty of autumn is captured in this collection. 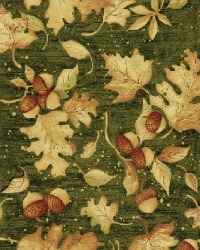 We’ve also included a nature panel, wildlife squares, a unique woven texture, leaves and acorns, and an owl print. Beautiful fabric, great design.